One of my first and strongest impressions of the differences between Canadian and Australian politics came, of all places, in the parliamentary gift shop in Canberra. As one of the small but hearty group of people with a professional interest in Westminster parliamentary institutions, I’ve had the good fortune to make short trips to Australia over the years to conduct comparative research. 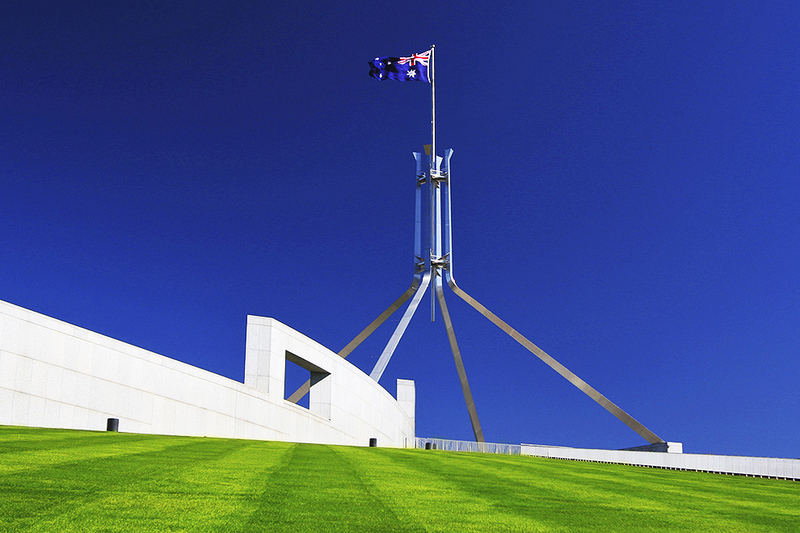 But during a recent four-month visiting fellowship at ANU’s School of Politics and International Relations, I had a chance not just to compare, but also to immerse myself in observing Australians and their political system. As you might expect, Parliament House’s gift shop sells souvenir teaspoons, magnets, a collection of prime ministerial mugs, and so on. But what struck me was that it also has a remarkable selection of recent books on Australian politics, including many volumes quite critical of current occupants of the building. On sale, for example, were all of the recent books on the fall of Tony Abbott and his lieutenant Peta Credlin. A hemisphere away, Canada’s counterpart on Parliament Hill in Ottawa sticks to selling innocuous trinkets and picture books; it’s inconceivable that it would stock anything remotely vexing to either visitors or parliamentarians. And the differences at Parliament House don’t stop there. While I never sprang for the enhanced, paid tour during my occasional visits in Canberra, one day I stood at the edge of a group that had just watched question time. Listening to the group leader’s blow-by-blow recap and editorial commentary (“the prime minister was looking pretty rattled with that question”), I assumed this was a teacher, but was shocked to learn that the guide was in fact a parliamentary employee. That may have been a fleeting moment, but Canadian parliamentary tour leaders, in my experience, stick strictly to highly sanitised comments. For me, these became small examples of the greater outspokenness and candour of politics and public affairs in Australia, something I had certainly noticed in past visits and watching from afar, but in which I had never been fully immersed. Both elected and non-elected officials are much more outspoken in their views, and I was amazed by how much was leaked every day in the papers and other media. While it almost certainly doesn’t add up to a full or correct version of events, there is certainly much more sense of what is going on beyond closed doors, including in cabinet and party-room meetings. In Canada, things were particularly tight-lipped during the Stephen Harper years, but even the new light-and-goodness Trudeau government operates more secretively and leaks less, at least so far, than its Australian counterpart. For Westminster-watchers, Australian-Canadian comparisons have long been a gold mine. The two countries offer the ideal scholarly conditions: a strong control baseline of similarities – federations with parliamentary systems; British colonial legacies; disenfranchised Indigenous populations; vast geography but small populations – and yet also clear differences – in electoral systems, for example – that produce outcomes worth analysing and explaining. And there are other general similarities: Malcolm Turnbull’s quick slide from exciting political juggernaut to dithering disappointment, for example, is remarkably similar to the demise of Canadian prime minister Paul Martin in the early 2000s. But ultimately it is the institutions and rules, often similarly labelled but different in practice, that make for the most meaningful comparisons. Australian politicians are very direct in speech, without the veil of courtesy often found in Britain that makes it difficult sometimes even to realise one is being insulted. In contrast, Canadians – on top of their general reputation for politeness – produce a species more like politicians in the United States, who even in the most polarised moments will veer into euphemisms about their great personal regard for their opponents. (Part of the great novelty of Donald Trump is that he constantly professes contempt for his opponents.) In contrast, the personal vitriol I saw expressed by Australian politicians – the current race between Barnaby Joyce and Tony Windsor being a particular highlight – is striking. Nothing beats watching a legislature for real, and my occasional glimpses of Australia’s parliamentary question time by video did not sufficiently prepare me for the full spectacle. In most ways, it is procedurally similar to Canada’s; the full cabinet attends daily, for example, unlike in Britain, though Canadian prime ministers typically skip one or two days a week. The Australian prime minister takes far more questions than in Canada (while ministers take fewer) and the whole atmosphere seems more lively and responsive than in Canada. It was particularly fascinating to watch the opposition frontbench (and sometimes the PM and cabinet too) huddled in discussion over tactics in the middle of question time; in Canada, the parties set a script and almost always stick to it. The level of heckling and general noise in the House of Representatives also seems similar to the Canadian House of Commons, though it has been declining in Ottawa in recent years. But Australian heckling seems more barbed and personal, and the constant and repeated warnings by the speaker to specific MPs contrasts with the Canadian speaker’s more general (and usually ineffective) calls for order. Ejections from the Canadian chamber are unusual and newsworthy; in Australia they are clearly part of the daily routine and I had to pay attention even to notice them. I was also amazed to see MPs in political purgatory – such as the turfed minister Jamie Briggs, not to mention Tony Abbott – spending time in the chamber and, in Abbott’s case, quietly shuffling papers. In Canada, MPs in disgrace or exile often stay away from the chamber for months or even years, since their attendance is not recorded (as it is in Australia). Indeed, Canadian prime ministers and party leaders, including Justin Trudeau, often have spotty attendance records, though Canada’s lower house has more sitting days overall. While senior Canadian officials may well hold similar views, it is difficult to think of them voicing them publicly, and certainly not in a newspaper opinion piece. This sort of directness – along with the richly stocked parliamentary gift shop and the talkative tour guide – was fascinating and refreshing compared to the often excessively cautious Canadian attitude, in which the smallest hint of an opinion by unelected officials is seen to imperil the foundations of responsible government. Over time, though, I began to feel that this directness and transparency had a certain toxicity, especially at the political level. This was compounded by a rapacious media, far more aggressive and gossipy than Canada’s. While Australia has an admirable volume of quality political and public affairs coverage, including the journal you are currently reading, I became dismayed by the number of stories and columns at the other end of the spectrum parsing the latest gossip and greedily feeding on all the openness and candour (when they weren’t attacking each other). 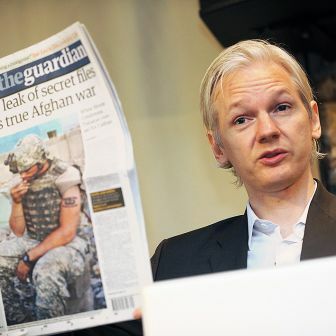 Coverage quickly blurred together in my eyes, and while particular mention must be made of the army of political writers at the Australian – far in excess of anything I have seen in a Canadian newspaper – the Fairfax press, the ABC and other outlets were not immune. One example struck me on 20 March, when Malcolm Turnbull announced a recall of parliament as prologue to a double dissolution. Great attention was paid to whether Scott Morrison had been informed of the change in budget dates before he went on live radio to deny a change was coming. Was this a deliberate attempt to embarrass a political rival, the treasurer? Or just sloppy execution of a secret plan? I don’t know, but while tidbits like these are fun and fascinating, they shouldn’t be the basis of serious analysis. This is not necessarily to defend the Canadian media, which also loves gossip and juicy details, but simply to contrast the amount of intensive daily coverage. It could be that Australian politicians have thicker skins and can ignore this magnified scrutiny, but it doesn’t strike me as enhancing democracy or good public policy. 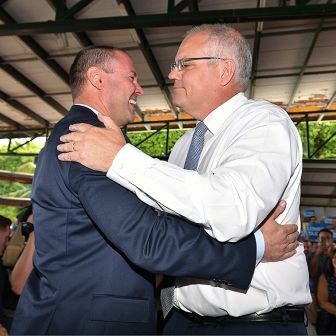 In the cacophony of outspokenness and chronic leaking that is Australian politics, the distinctions between transparency, analysis and gossip seem very blurry. It is hard for observers to tell what is truly significant, and I wonder if the participants can tell either. Ironically, much of this candour and seeming openness appears to be a function of the byzantine nature of Australian political parties and the many shadowy corners that make Canadian parties seem as transparent as sunlight. While I was well aware of the general structure and characteristics of the Australian party system, the sheer complexity still overwhelmed me, even after four months of casual observation. 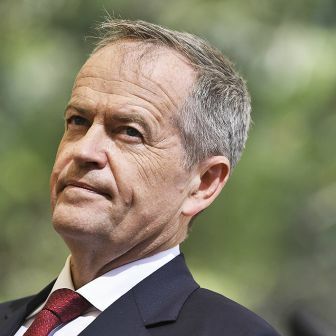 Labor’s factional system at least has a long and reasonably consistent history; the Liberal Party, even apart from any Turnbull–Abbott rivalries, seems truly impenetrable, with its shifting camps and opportunists. Admittedly, Canadian political parties are also complex organisations, and a lifetime of observing Canadian politics equips me to more or less make sense of them. But there are at least two crucial differences between Canadian and Australian parties that may contribute to this shadowy and toxic culture – the selection of leaders, and the selection of local candidates. A few years ago, Canadians were infatuated with Australian leadership spills. The dispatch of Kevin Rudd in 2010 was intriguing because of its sheer impossibility in Canada, where party leaders are elected by the mass party in all-member votes and can only be deposed by similar mass means. Canadian parties have no quick mechanisms for challenging leaders; often the only way to get rid of a perceived underperformer is to wage an extended and divisive insurrection over many years (though New Democratic Party leader Thomas Mulcair was recently deposed at a party convention after the party’s poor results in the 2015 election). This insulation against challenge has been used to explain the power of Canadian prime ministers compared to their Australian, British and New Zealand counterparts. (According to a famous line from the Jean Chrétien–era 1990s, prime ministers are so entrenched that cabinet is no longer a decision-making body but merely a focus group to test decisions made in the PM’s office.) Power within the black box is notoriously difficult to study, but scholars generally agree that the Canadian prime minister and his or her personal staff hold more personal power than their Australian or British counterparts, especially over cabinet ministers, while being far more insulated from challenge. Indeed, Peta Credlin’s alleged reign of terror sounded to me like a typical PM’s office (though the phenomenon is equally lamented in Canada). The power of Canadian PMs and the difficulty of getting rid of them led recently to a serious effort to institute Australian-style mechanisms to allow leaders to be challenged by the parliamentary party, though typically with replacements still chosen by subsequent mass votes. I have to confess I favoured those reforms, but my time in Australia may have changed my opinion – and, indeed, many Australians told me they felt things had got out of hand. 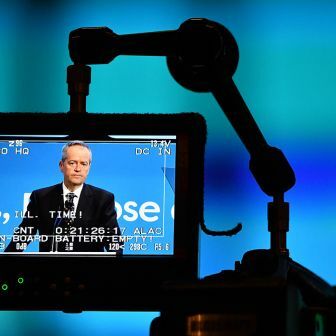 Australian party leaders now seem to live in a permanent state of advanced paranoia, with their parties full of churning intrigue and perpetual challengers, making it difficult to think much beyond surviving the next week. This situation is fuelled by the remarkable attention given to even slight shifts in two-party-preferred poll numbers. A more complicated array of parties and leaders coupled with non-compulsory voting means that in Canada polls are generally viewed with a large grain of salt. In Canberra, it was strange to see blazing headlines every time the numbers shifted even a digit or two, and hints that party leaders could soon expect a knife in the back. The phenomenon of “instant members” with no previous attachment to the party has obvious downsides, but it operates with comparative openness, brings new blood into Canadian parties, and at least rewards candidates for their political skills of organising and community mobilisation. 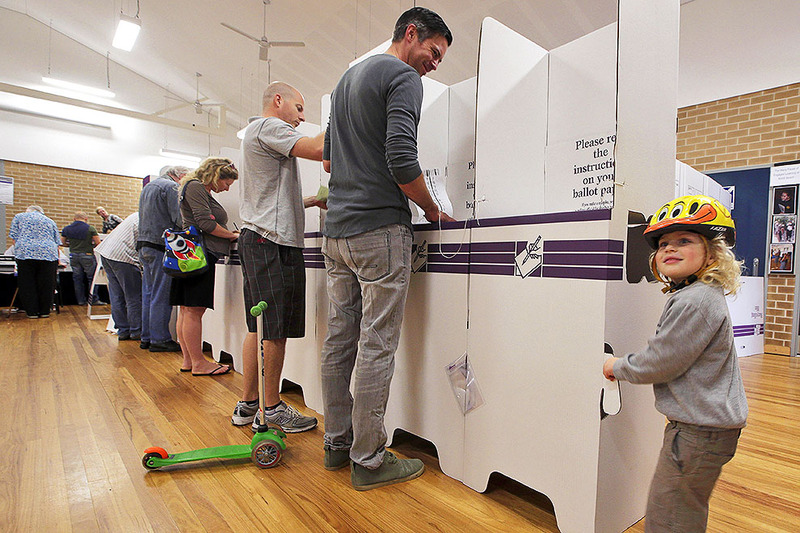 In contrast, the more fixed, top-down methods of Australian preselection seem tailored to reward closed-door deals and factional payoffs – again, belying the impression of a truly open and transparent political system. Still, while Australians are as deeply cynical about their politicians as anyone else, they do seem basically content with their political institutions, notwithstanding areas such as the recent and divisive tinkering with Senate voting preference rules. In Canada, by contrast, political dysfunction is often attributed to institutional design flaws, with Australian practices commonly the recommended solution. In addition to the fleeting fascination with leadership spills, electoral reform bubbles up from time to time, and the Trudeau government is moving ahead with proposals to change the electoral system, probably to a preference system based on Australian lower-house practices. In contrast, I was impressed by Australians’ seemingly greater confidence in their political institutions and system; certainly, I encountered few musings about the need to adopt Canadian-style reforms, though it was pleasant to see envy of our celebrity prime minister. Perhaps Australians have intuitively grasped that every country develops its own unique political system, for better and for worse. It certainly escapes many Canadian institutional tinkerers that individual political rules and practices are part of broader institutional frameworks and political systems, and are often less transferable than they might think. The names and labels are indeed similar, but subtle differences count, and seeming advantages in one area are outweighed by deficiencies elsewhere. Jonathan Malloy is an Associate Professor in the Department of Political Science at Carleton University in Ottawa.